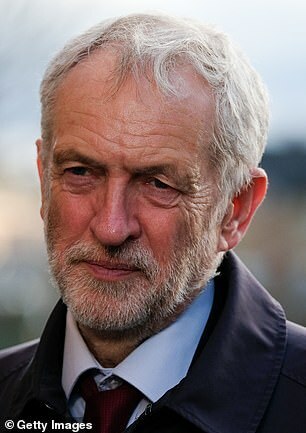 Jeremy Corbyn is losing the faith of younger voters as he ponders Labour’s final Brexit policy, a new poll revealed today. The opposition leader’s response to Theresa May‘s unpopular deal to leave the EU on March 29 has sent his approval ratings among 18 to 34-year-olds from a positive to a negative rating. New polling of 2,000 young people from Opinium commissioned by For our Future’s Sake [FFS], a youth wing of the People’s Vote campaign, will make worrying reading for Labour. The research shows that in just six months, 18-34-year-old’s approval of how Jeremy Corbyn is responding to Brexit has plummeted 27 percentage points – from +13 per cent in July to -14 per cent today. 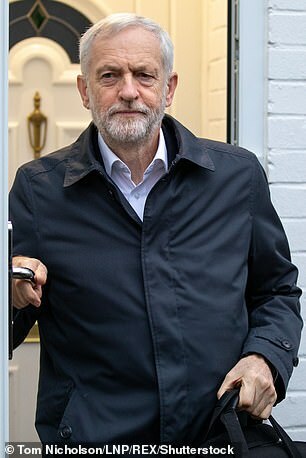 It came as senior Tories came out in force to suggest ‘young people are going off Jeremy Corbyn’ as their party also faces a major split over Brexit. 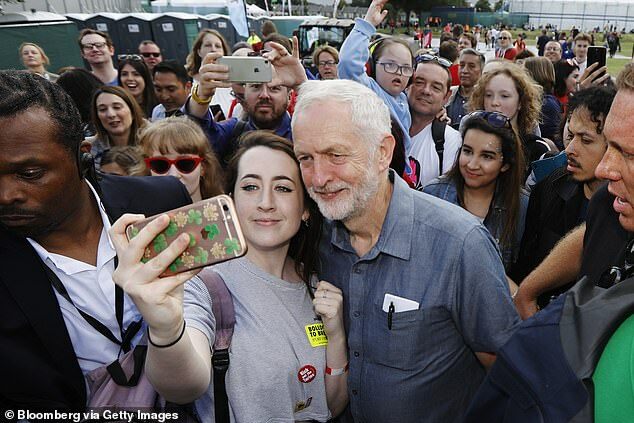 Kira Lewis, a For our Future’s Sake activist and Jeremy Corbyn supporter, said said: ‘Unfortunately, over the last six months, there’s been a massive drop in young people’s approval of how Jeremy Corbyn in handling Brexit. ‘The reason for this is painfully clear – the overwhelming majority of Corbyn supporters, like myself, want Labour to back a People’s Vote on the Brexit deal, but if Labour and him enable Brexit, they are at risk of losing young supporters’. The poll suggests that young people have growing concerns over Brexit, and are losing patience with Labour’s approach. Jeremy Corbyn’s perceived enabling of Brexit is one of the top reasons that young Labour voters say they might switch to another party, the research has found. And only 12 per cent of people in Scotland approve of the way the Corbyn is handling Brexit, with 57 per cent disapproving – the highest of anywhere in UK. Jeremy Corbyn‘s appeal to the young is waning because they don’t want to pay higher taxes, Liz Truss said yesterday. The chief secretary to the Treasury said the perception of 18 to 24-year-olds as ‘sandal-wearing Corbynistas’ was wrong as she made a pitch to younger voters to back the Conservatives. Speaking in Leeds, she said: ‘Young people are going off Jeremy Corbyn even faster than his own MPs are. ‘This is the most self-starting, business-minded generation ever and all Corbyn offers is high taxes and more state control. Polls suggest 60 per cent of the 18-24 age group backed Labour at the 2017 election compared with around 20 per cent who voted Conservative. Calling for greater investment in superfast broadband and new houses, Mrs Truss also cited an 85 per cent jump in the number of entrepreneurs aged 18 to 24 compared to 2015. ‘We now have an army of high achievers brimming with ambition and with the drive to shape their own futures,’ she said.